Located in the heart of South Kensington, La page was founded in 1978 and is the oldest French bookshop in London. Ideally close to the French Lycée Charles de Gaulle, the French Consulate, and the French Institute, the bookshop is the hub for the French people in London, the numerous French-speaking tourists, as well as Francophiles. 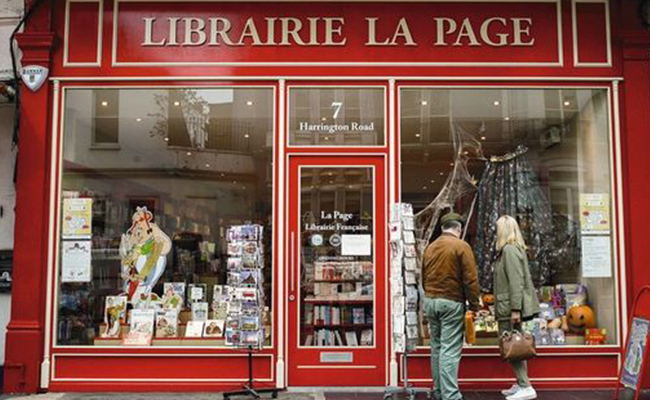 La Page was the first bookshop in the UK to sell exclusively books in French, and is still the main place to find out everything about French books and literature translated into French!